Why Do People Like Spring TX AC Maintenance Programs So Much? If you’re trying to wonder about why people seem to enjoy the benefits of the typical Spring TX AC Maintenance Programs, you may be on the lookout for something much greater. Are you ready to figure out what to do about your next AC repair and your inspection necessities, but you don’t know what to do next? In this blog entry, Houston Admiral Services will provide you with some critical information about what we do in regards to helping our clients get the most out of their appliances. 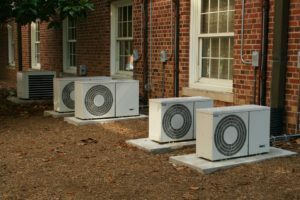 Maintenance programs help you understand what’s really going on with your air conditioning unit. Many people purchase these units and spend thousands of dollars on them. However, when you do this and simply neglect it until it’s time to fix major breakdown, you’re not truly using the appliance and respecting it as you should. Are you wondering about what you can do to figure this out and handle it in a better way but you still haven’t met he professionals you need? If so, you’ve come to the right place. Houston Admiral Services is a company that provides people just like you with the quality inspection and maintenance programs they’ve been clamoring for. With our 31-point detailed processes available for you to enjoy, you’ll be able to sleep in relaxation knowing that your devices are properly taken care of. Our professionals know what you’re looking for, and we’re eager to give it to you. Call on our team when you’re ready to do something better. We can’t wait! Our versatile professionals are able to offer more than that, too. Are you trying to find out how you can get the most out of your AC financing? Maybe you have some repairs and replacements that need to be taken care of and you don’t know how to to do it yourself. Whatever the case may be, count on our team and get the most out of your AC performance. You won’t regret working with us! 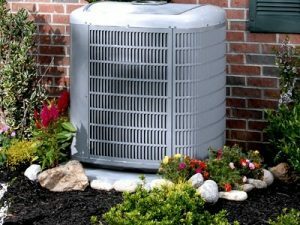 We hope you’ve enjoyed our blog entry on what to do when you feel lie you won’t be able to understand your Spring TX AC Maintenance Programs in the best ways. Our team here at Houston Admiral Services will be right there with you every step of the way to provide you with the guidance and resources you need to understand your AC units. For more info on how we can help, call us today at 281-86-9400 for a free estimate.